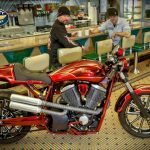 Victory Motorcycles is showcasing a collection of Polaris-designed prototypes and custom models in its display at the Minneapolis stop of the IMS tour, Feb. 3-5 at the Minneapolis Convention Center. 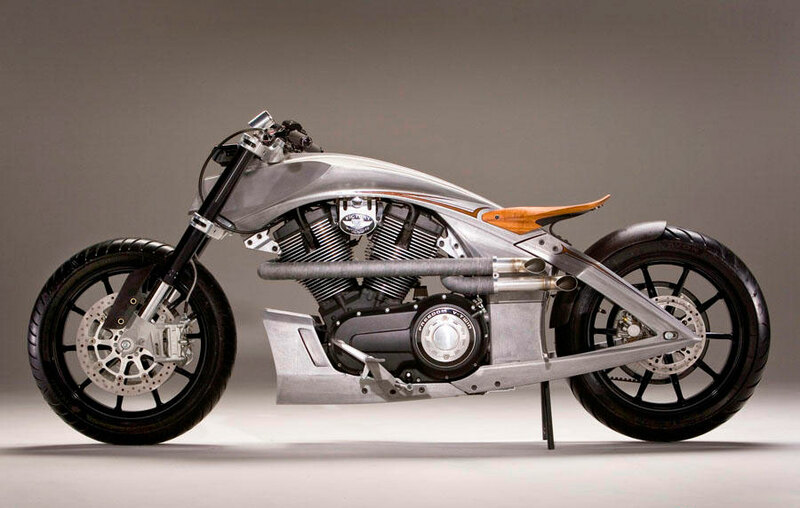 The collection will feature concept models and prototypes from over the years by the Polaris Industrial Design studio. 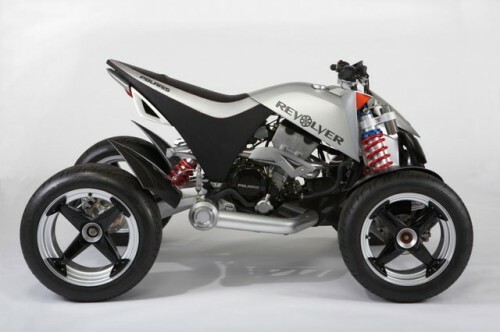 The exhibit will include the Victory CORE concept (pictured above) first unveiled at the 2009 IMS, the Victory Vision 800 concept first shown in 2006, and the Polaris Revolver sports ATV (pictured after the jump). The Minneapolis show will be the first opportunity for the public to see these prototypes together outside the Polaris Industrial Design compound. 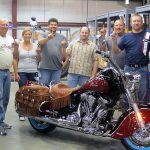 Also on display are a number of custom models produced by Polaris employees. Pictured immediately below is the Victory Axe, produced in 2005 by the Victory Engineering Department from a Freedom engine and a chassis bound for scrap. 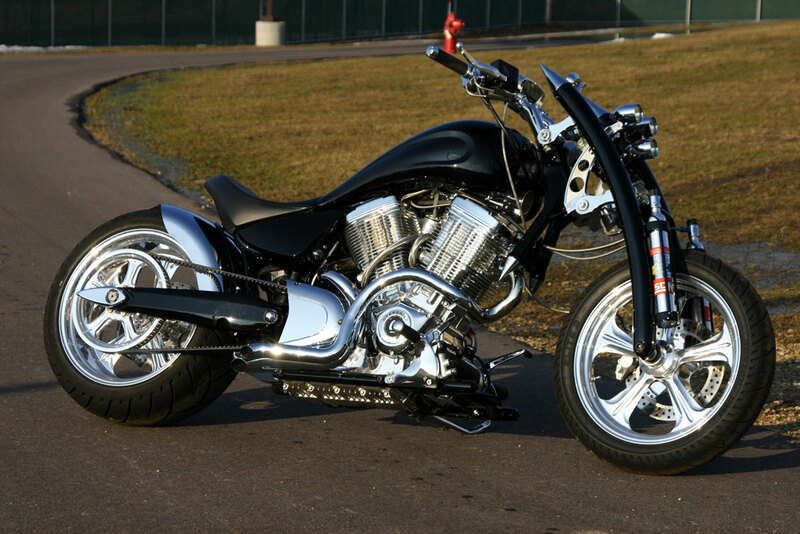 Greg Brew, head of the Polaris Industrial Group, produced a bobber named the “Fuelie” from an early V92 frame. 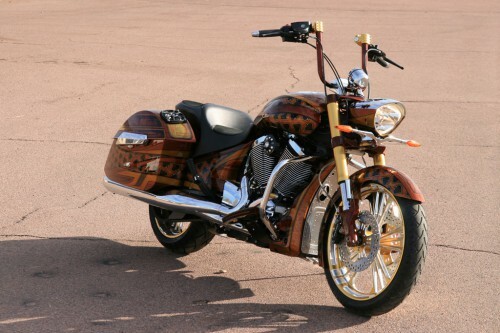 Engineering Manager Jeff Wolf produced his own custom chopper built around a modern Victory Freedom engine. Also on display in Minneapolis will be the recently-unveiled Zach Ness café racer style Judge and two custom Victory models from Klock Works Kustom, the “Tattoed for Life” charity motorcycle and the “Klock Roads” bagger (pictured below). 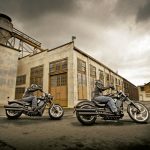 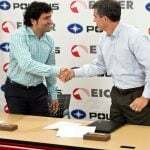 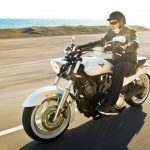 Polaris Reports Q2 2011 Results – Victory Sales Revenue Up 99%!